Standard way to enable the technology for a module. 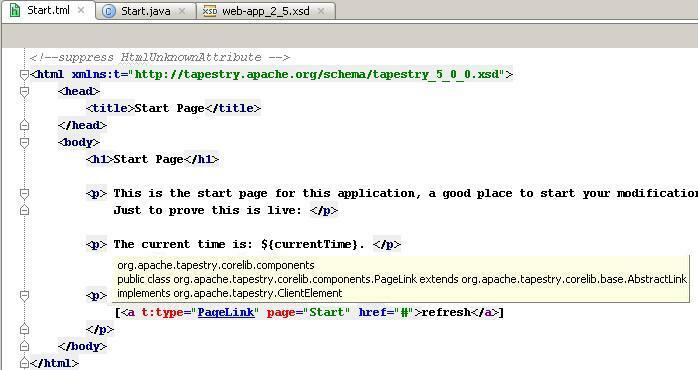 Navigation from Tapestry related tag names/attributes to corresponding Tapestry entities. Actions to create components, pages or mixins in proper location. Standard Colors&Fonts setting page for Tapestry-related tag names and attributes. This entry was posted in New Features and tagged Maia, Tapestry. Bookmark the permalink. Tapestry? Really? There’s nothing else out there where this engineering energy might be better spent? Like formal mercurial support? Or tetris? I’m sure both tap users will be thrilled to hear this is coming but this one’s a big wtf? for me. Formal mercurial support would indeed be great – but Tap5 support is wonderful. Thank you for that feature. I’m the second! Does that mean that Maia has a Language implementation for OGNL? If so, that might be useful for the Struts plugin.. Thanks! I’m the third I guess… T5 doesn’t use OGNL anymore, as it was performance problem in 4 series. And who uses mercurial anyway :D? Great! I’ve missed my time develop with Tapestry with a 3rd party plugins on IDEA6 i think..
To have tapestry support should be the good way to many people! 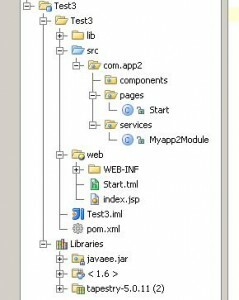 Any chance of a write-up showing how to get IntelliJ to recognise a pre-existing Tapestry app? Tapestry? why not improve Wicket support instead? This feature set might actually convince my company to buy us IntelliJ 9. Good work. hope Wicket support is also planned. How does the navigation from template to class actually work? Do you mean which action does the navigation? <p:shortName p:shortName – element does not alowed here…. there is already a wicket plugin… however, ‘native’ support for Wicket would be really appreciated ! I’ve played around with this, and I think it’s awesome. t5 is amazing, and this integration makes it that much better.